From our remote communities to our urban centres, I hope to highlight the diversity that exists among us, as Aboriginal and Torres Strait Islander women and girls. There are significant opportunities to grasp here, to ensure that our needs and aspirations and our voices are at the forefront of the government’s agenda – beyond the narrow frame of victimhood and dysfunction. Wiyi Yani U Thangani means Women’s Voices in Commissioner Oscar’s Bunuba language. 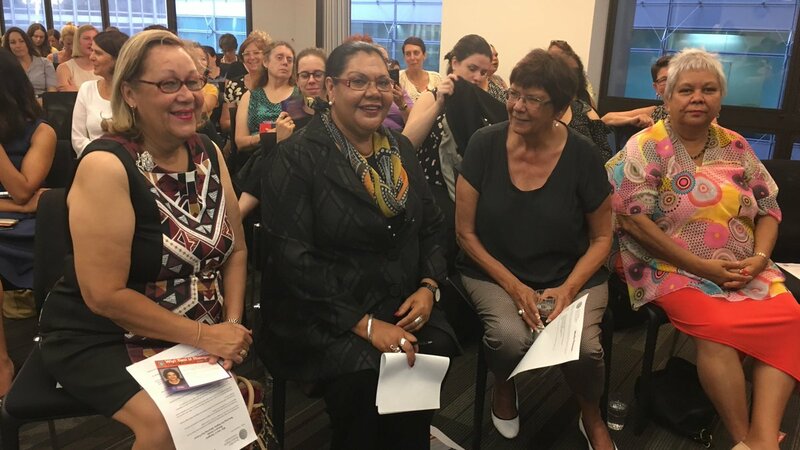 The Aboriginal and Torres Strait Islander Social Justice Commissioner June Oscar AO on Friday launched the Wiyi Yani U Thangani (Women’s Voices) project. The project will be led by the Australian Human Rights Commission in partnership with the Department of Prime Minister and Cabinet. The project will build on the legacy of the Women’s Business report of 1986, which was the first and last time national consultations were held with Aboriginal and Torres Strait Islander women. “It is remarkable to me, that this report represents the first time that the views of Indigenous women were sought by government. Three decades later, Wiyi Yani U Thangani is a continuation of that journey,” Commissioner Oscar said. The project will include a series of community visits and conversations with Indigenous women and girls around the country from early next year. “The experiences of our women everywhere, but particularly in the justice space, and in the stories of people like the late Ms Dhu and Rosie Fulton and of our girls in care and juvenile detention are crying out for greater visibility, for greater coordinated effort and greater weight within the halls, laws and policy of government. ways to promote and protect culture. 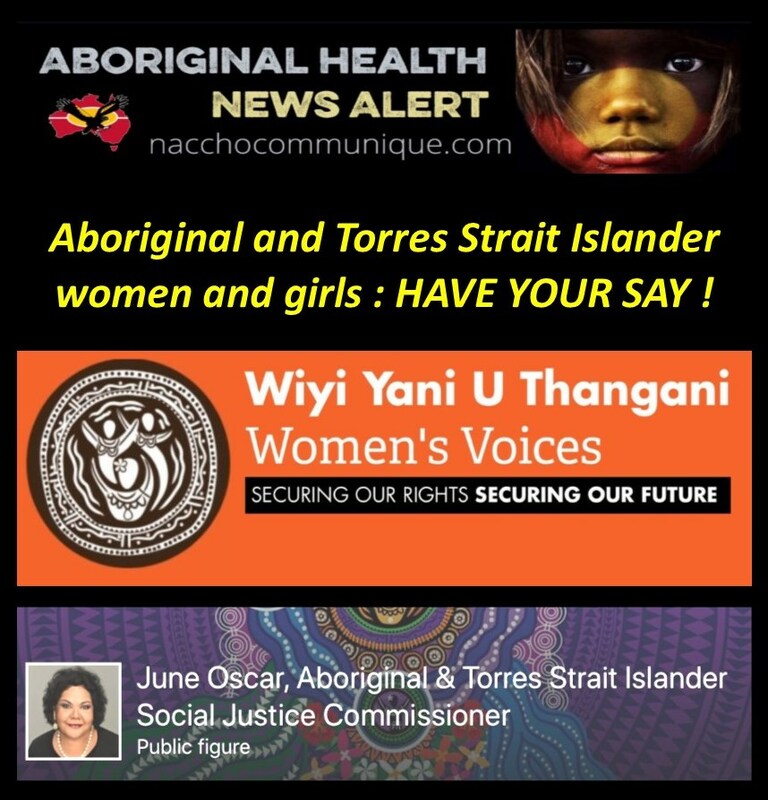 Wiyi Yani U Thangani (Women’s Voices) will run from late 2017 and throughout 2018 and will speak with Aboriginal and Torres Strait Islander women and girls from across the country either at a series of community meetings or via our online submission process. what are your priorities and dreams? what is needed for effective programs and services? what do you need to feel safe, happy and empowered? what are the key challenges and strengths for women and girls in your community? We know that Aboriginal and Torres Strait Islander communities are unique and that there is much diversity amongst Aboriginal and Torres Strait Islander women and girls. Wiyi Yani U Thangani will seek to engage with a broad range of people, especially those with unique aspirations and priorities, including Elders, linguistically diverse and LGBTI Aboriginal and Torres Strait Islander women and girls. Through our collective voice we have the power to influence our lives and our future. 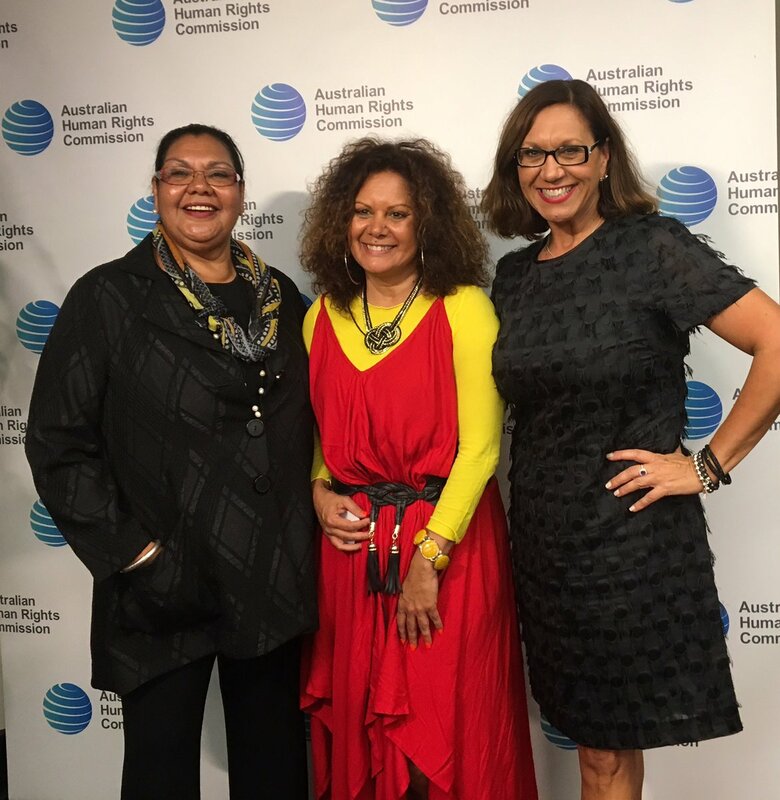 The Aboriginal and Torres Strait Islander Social Justice Commissioner and her team will be traveling around Australia from February 2018 to speak with Aboriginal and Torres Strait Islander women and girls and those who support them. We look forward to speaking with as many Aboriginal and Torres Strait Islander women and girls as possible in 2018. Further updates about the Project can be found on this website or by following us on social media. The Aboriginal and Torres Strait Islander Social Justice Commissioner invites all Aboriginal and Torres Strait Islander women and girls (12yrs+) and those who support them to join the Wiyi Yani U Thangani conversation. If we do not get a chance to speak to you directly, we still wish to encourage you to have your say or get in touch with us. The Aboriginal and Torres Strait Islander Social Justice Commissioner invites all Aboriginal and Torres Strait Islander women and girls (12yrs+) and those who support them to join the Wiyi Yani U Thangani conversation. Please register your interest here to receive further information on how to Have your Say when it becomes available. Details will be available soon. Part 4 : Minister Scullion on Friday launched the Wiyi Yani U Thangani (Women’s Voices) Securing Our Rights, Securing Our Future project. The project, led by first female Aboriginal and Torres Strait Islander Social Justice Commissioner June Oscar AO, will explore ways to support the empowerment of Aboriginal and Torres Strait Islander women and girls. The Coalition Government is providing $1.25 million for this national project. The voices of Aboriginal and Torres Strait Islander women and girls will be heard loud and clear with the launch of a major project exploring their security and success. The Minister for Indigenous Affairs Nigel Scullion, together with the Aboriginal and Torres Strait Islander Social Justice Commissioner, Ms June Oscar AO, today launched the WiyiYani U Thangani (Women’s Voices) Securing Our Rights, Securing Our Future project. 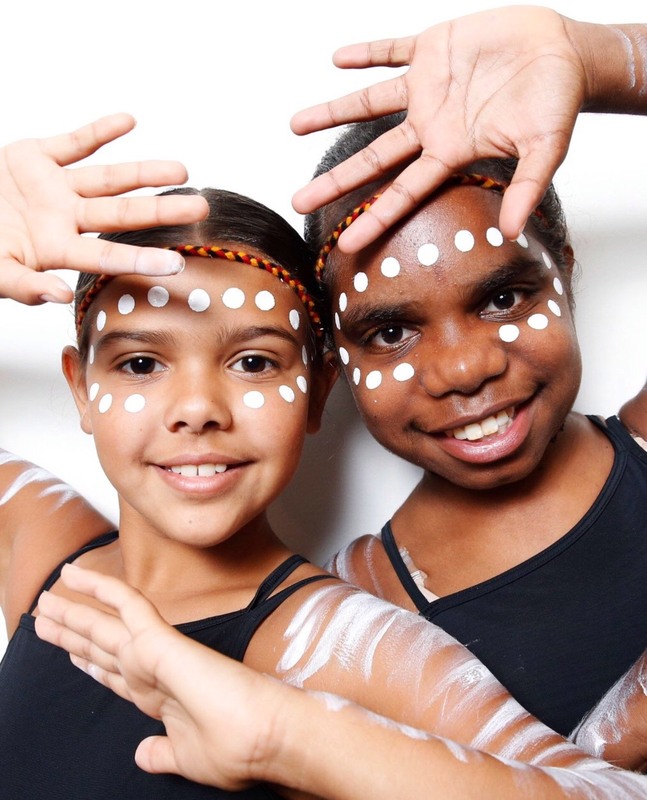 The national project, which will canvas the views of Aboriginal and Torres Strait Islander women and girls across the nation to better understand the issues surrounding their personal, socioeconomic and cultural security, was a priority for Minister Scullion. “As Minister for Indigenous Affairs I am absolutely determined to support the needs, aspirations and successes of Aboriginal and Torres Strait Islander women and girls.” Minister Scullion said. 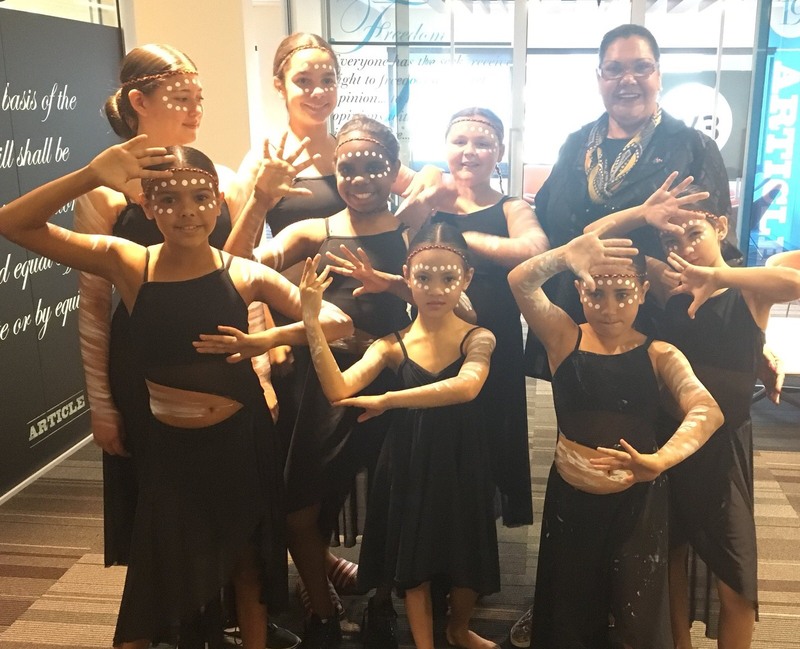 “This project gives Aboriginal and Torres Strait Islander women and girls a platform to speak directly on the issues affecting them and what they need to achieve their full potential. “Australia’s First Nation women provide courage and hope to their communities, and we need to ensure they have the right supports and pathways in place to guarantee their prosperity. The Wiyi Yani U Thangani (Women’s Voices) Securing Our Rights, Securing Our Future project draws inspiration from the landmark 1986 Women’s Business report – a report on the progress of Aboriginal and Torres Islander women and girls,delivered by the Aboriginal Women’s Taskforce within the Department of Prime Minister and Cabinet. “This is the first national consultation conducted by and for Aboriginal and Torres Strait Islander women and girls since the 1986 Women’s Business report – more than 31 years ago,” Minister Scullion said. “The Women’s Business Report highlighted the strength and resilience of Indigenous women as change-makers within their community. “We know this continues to be the case for many women across the country – these women are making a positive difference for their families and communities. “I am especially grateful that this project is being conducted by Australia’s first female Aboriginal and Torres Strait Islander Social Justice Commissioner. “June is both a leader and an inspiration to Aboriginal and Torres Strait Islander women and girls across Australia. She has driven change in her own community, and I am proud to be working alongside her. Consultations will take place in major cities and regional and remote communities throughout 2018. A final report will be presented to the Government in mid-2019.